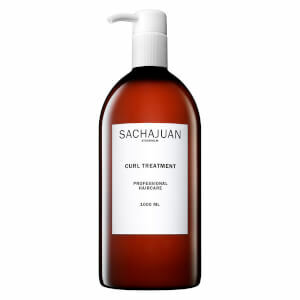 Quench dry, dull and weak hair with Sachajuan’s Moisturizing Conditioner. Seeking to alleviate the damaging effects of heat styling and chemical treatments, the intensive formula helps hydrate, repair and nourish with exclusive Ocean Silk Technology – a strengthening blend of sea-extracted minerals, proteins and vitamins. Enriched with lipid-rich Avocado Oil, it helps smooth split ends, frizz and flyaways for a sleek finish and radiant shine. Hair feels protected and replenished with renewed bounce and vitality. Aqua (Water), Cetyl Alcohol, Stearyl Alcohol, Glycerin, Propylene Glycol, Behentrimonium Chloride, Chondrus Crispus (Carrageenan) Extract, Persea Gratissima Oil, Glycereth-2 Cocoate, Dioleyloylethyl Hydroxyethylmonium Methosulfate, Cetearyl Ethylhexanoate, Phenoxyethanol, Parfum, Dimethicone, Laureth-8, Succinoglycan, Sodium Chloride, Isopropyl Myristate, Peg-40 Hydrogenated Castor Oil, Citric Acid, Methylparaben, Butylparaben, Ethylparaben, Propylparaben, Isobutylparaben, Linalool, Alpha Isomethyl Ionone, Benzyl Salicylate, Butylphenyl Methylpropional, Limonene, Hexyl Cinnamal. Massage into washed hair, comb through gently. Allow 1–2 minutes to work in and rinse well.